The Gallery at Medfield TV is hosting a solo show for local artist Geena Matuson throughout the spring and summer, March 30 - August 30, 2016, a reception on Friday, April 29 from 6-8pm. The show will feature photographic art prints on canvas, and framed giclée prints depicting nature scenes, including work never-before released. All pieces are for sale, with the ability to provide alternative sizes to select pieces. Take a sneak peek at the canvas above, a new piece entitled 'Hidden Creature.' 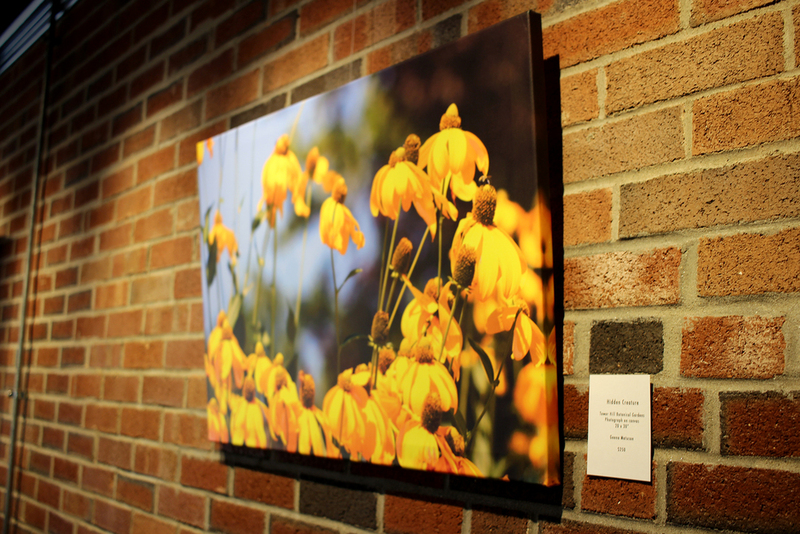 Come to Medfield TV and find the hidden creature for yourself, and experience a range of flower and nature-themed works by Geena Matuson.